For new licenses or changes in location or ownership, you may register online. Most in town business license applications are reviewed by the Planning Division for compliance with zoning regulations. Please review the Home Occupation Handout if you are operating a business out of a residential property, as there are certain restrictions that apply to home-based businesses. Depending on the location and type of business, commercial business license applications may also be reviewed by Fire Inspectors. You may be assessed a Fire Inspection Fee on your business license renewal. If you relocate your business from one location to another within city limits, please fill out a new business license application for review by zoning and fire safety officials. A processing fee must be included with the application ($98 for a commercial location; $68 for a residential location). A $10 processing fee is required for a change of business ownership. 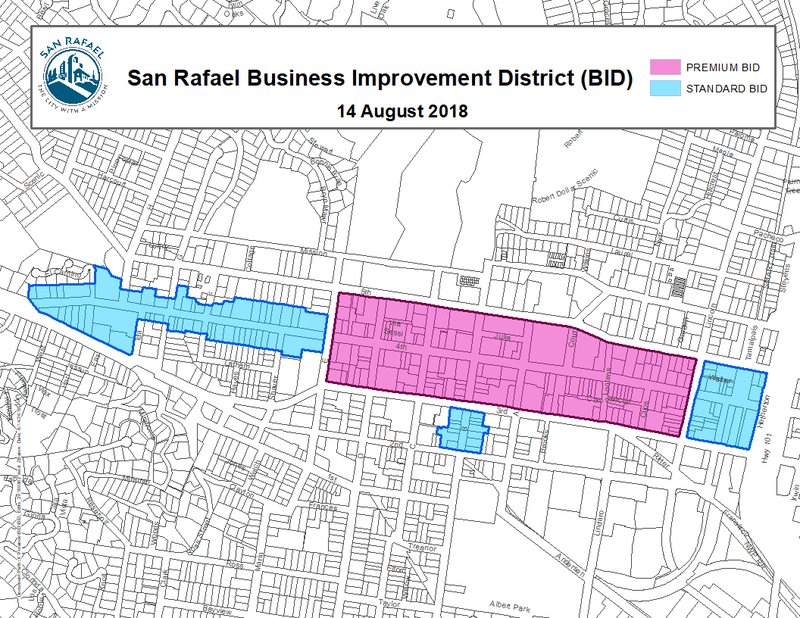 In the downtown area, there is a Business Improvement District (BID), which is comprised of standard and premium zones. If you are thinking of starting up a business downtown, you might want to review the map below to see if your address falls within either of the zones. If so, you may be charged a BID assessment on your business license renewal.